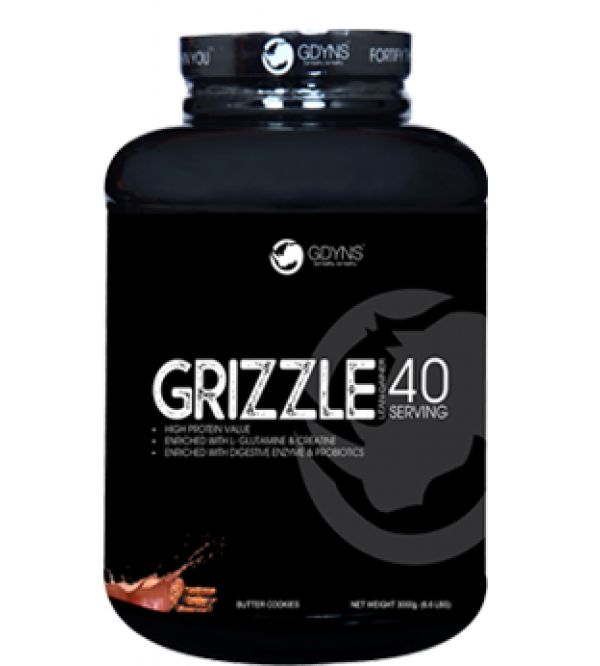 Forged with the finest blend of carbohydrates, fat, calories and protein, “GRIZZLE” delivers you 50.4g of carbs, 14.43g of protein and 3.37g of fat per serving. Enriched with an ample amount of every vital nutrient required in a lean gainer, “GRIZZLE” is a magic spell for individuals those who want splendid gains and muscles without gaining unwanted fat! GDYNS’ “GRIZZLE” is a laboratory tested product and is produced under ‘GMP’ and ‘FSSAI’ authorized faculties. “GRIZZLE” is the trademark of GDYNS Healthcare Pvt. Ltd. Caution: This product is to be consumed as a food supplement. Under no circumstances should you choose to consume this product for medicinal purposes. Please Subscribe our Newsletter to get latest Updates of Our New Products and Discounts. Bulk falls under the health supplement category and is not intended for medicinal use. Information and statements regarding the product/services have not been evaluated by the Food and Drug Administration or any government authority and not intended to diagnose, treat, cure, or prevent any disease. For additional information about a product, please contact the manufacturer. Content on this site is for reference purposes and is not intended to substitute for advice given by a physician, pharmacist, or other licensed health-care professional. Actual product packaging and materials may contain more and/or different information than that shown on our website. We recommend that you do not solely rely on the information presented and that you always read labels, warnings, and directions before using or consuming a product. Nutricarezone.com assumes no liability for inaccuracies or misstatements about products. Powered By :GDYNS Infotech Pvt Ltd.